A black boy, sitting in a rowboat, has filled his felt hat with water and is taking a drink from it. Caption on back: "Way down on the Suwanee River. This is the stream which inspired that wonderfully popular song, The Old Folks at Home". 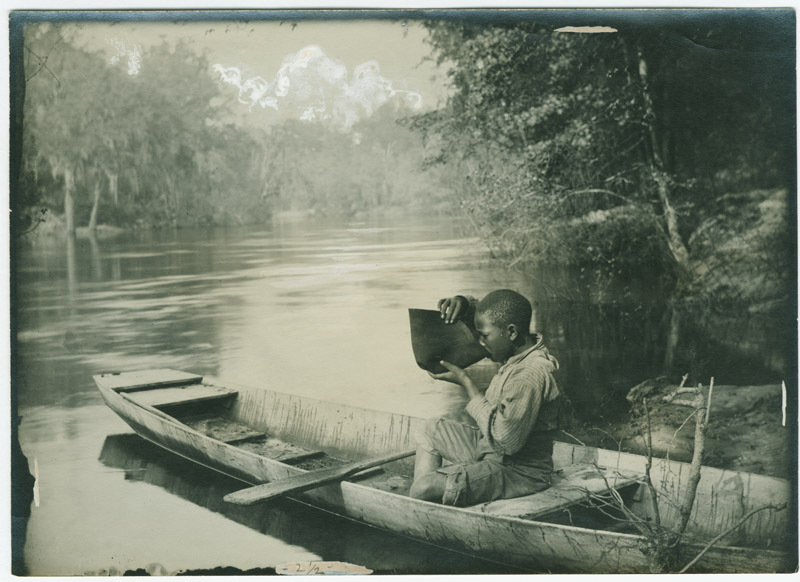 Johnson, Clifton, 1865-1940, “Drink from the Suwanee River,” Digital Amherst, accessed April 19, 2019, http://digitalamherst.org/items/show/1697.